I started this baby quilt several years ago and have finally managed to finish it in 2013! I started this quilt after a fabric swap at my quilting group. We all brought a fat quarter to our Christmas party and these were then all cut up into 5" squares and laid out on a table. I can't remember the actual number of different fabric squares we were allowed to choose (I think about 20 each!). 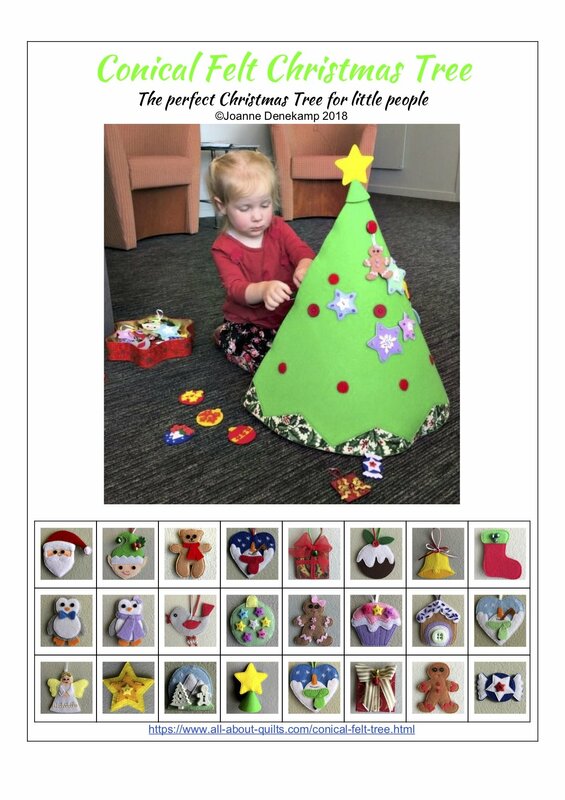 We were then challenged to make them into a quilt or other project and to have that ready to share at our next Christmas party. 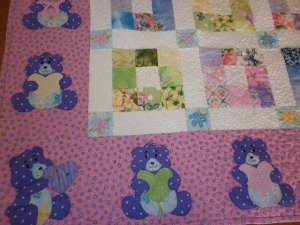 Most of my fabric squares I have used in the nine patch blocks of the Teddy Bear quilt above. This quilt top sat for several years folded up in my cupboard until last year when a niece became pregnant. I was so pleased to finally find a good home for it! For the teddy bear template I googled 'teddy bear with heart drawing' and finally found a very cute image to use. It is supplied by shutterstock. I have used a machine washable 100% wool batting in this quilt. This is my first time quilting a project this size. I have used a range of different sized stippling over this quilt and though not easily seen in the photo I have sewn a heart over each nine patch and stippled within them. Here it is almost finished (just need to add the facial details) in my soon to arrive grand daughters bed room. 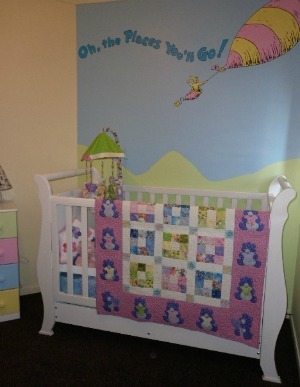 I was so lucky that it matched the room to help it look so good in this photo, as it's not for my grand daughter! Here is a close up of the teddy bears with their facial details added. Aren't they so cute. 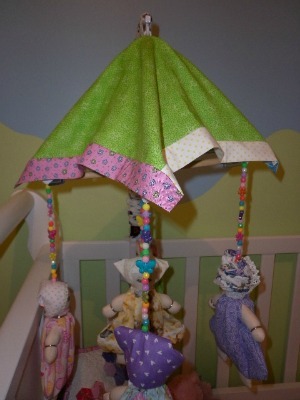 I also made the wee Thandi doll mobile hanging over the crib/cot. 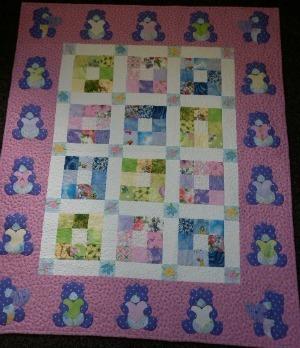 This was another class one of our members took at our quilting group. 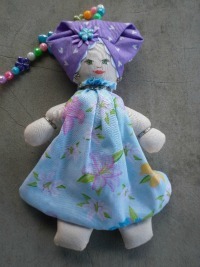 Thandi dolls are native dolls of South Africa. 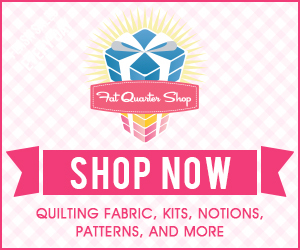 I have placed a free pattern for this quilt on week 2 of my Pinterest challenge. I hope my niece and her husband like the quilt and mobile! Sorry about the photo above - it doesn't show any of their faces. The doll at the bottom is closest to the traditional Thandi doll with exception of the fabric.